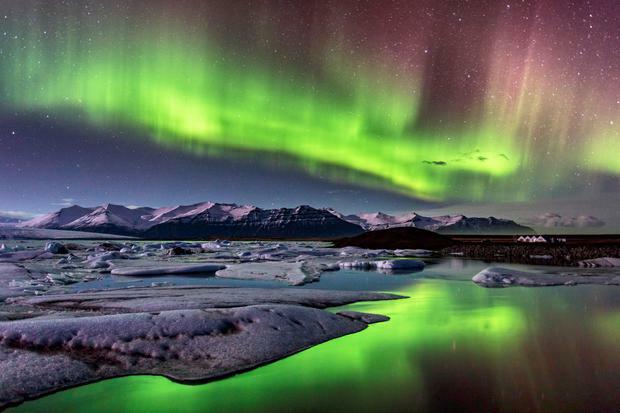 Iceland's Aurora Borealis can be stunning - so much so that they are proving hazardous to drivers. Last week, local police stopped two foreign drivers "who were driving erratically due to the Northern Lights," reports Iceland Magazine. In one of the cases,which the magazine says took place on the road to Keflavík Airport, officers suspected the driver was intoxicated. They stopped the car, only to find the driver sober. He had been "unable to keep his eyes on the road" due to the Aurora Borealis, it reports. "The police asked him to park the vehicle if he wanted to keep on gazing at the sky,” according to a statement cited on Iceland Monitor. Tourism to Iceland has been booming in recent years, with some two million visitors expected in 2017 - over six times its population. Low-cost carrier WOW air flies several times a week from Dublin, and is due to commence direct flights this May from Cork Airport. easyJet also flies direct to Reykjavik from Belfast.